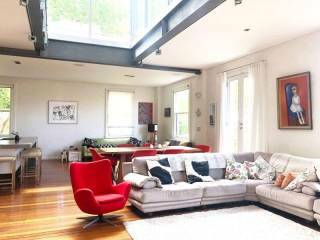 Newly built Studio in the cusp of Glebe and Camperdown. This large Studio with level access is the perfect home away from home. Air con throughout, Queen bed in the seperate bedroom. 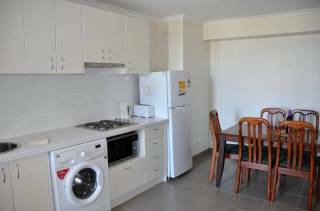 Bath/shower in the bathroom, Internal laundry with Seperate dryer and washing machine. The galley style kitchen with Convection microwave and 2 gas hot plates and large fridge opens to the lounge with dining for 2 L shaped lounge,with wifi, TV and DVD and bi fold doors opens to the enclosed balcony with alfresco dining for 4. 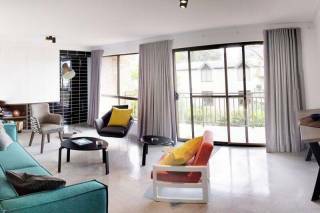 The Universtiy of Sydney is located at the end of the street, Glebe is a short stroll away, Broadway shopping centre and UTS are and easy stroll away. 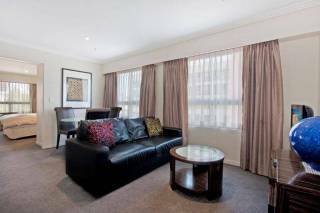 Sydney CBD, Darling Harbour, Pyrmont Annandale, Leichhardt, and Alexandria.are also and easy Walk Perfect for the business traveller or the holiday maker.